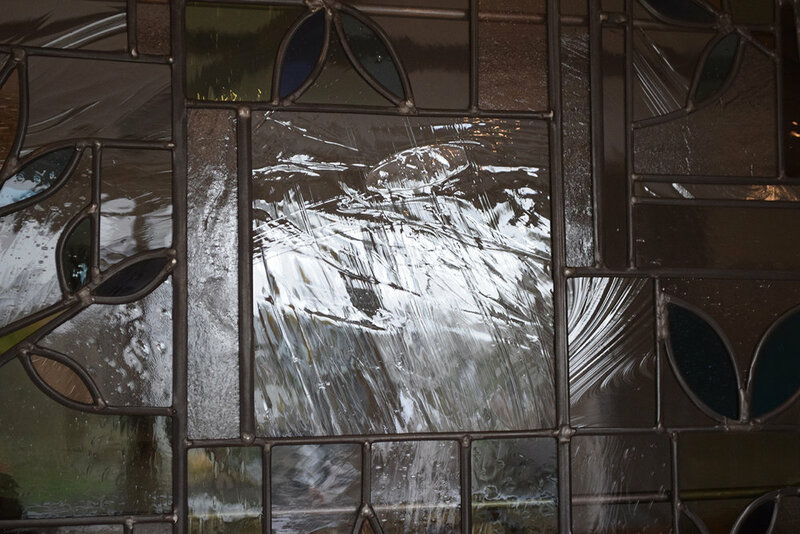 The top panel in this beautiful door was the only original panel left and was in a poor state of repair. 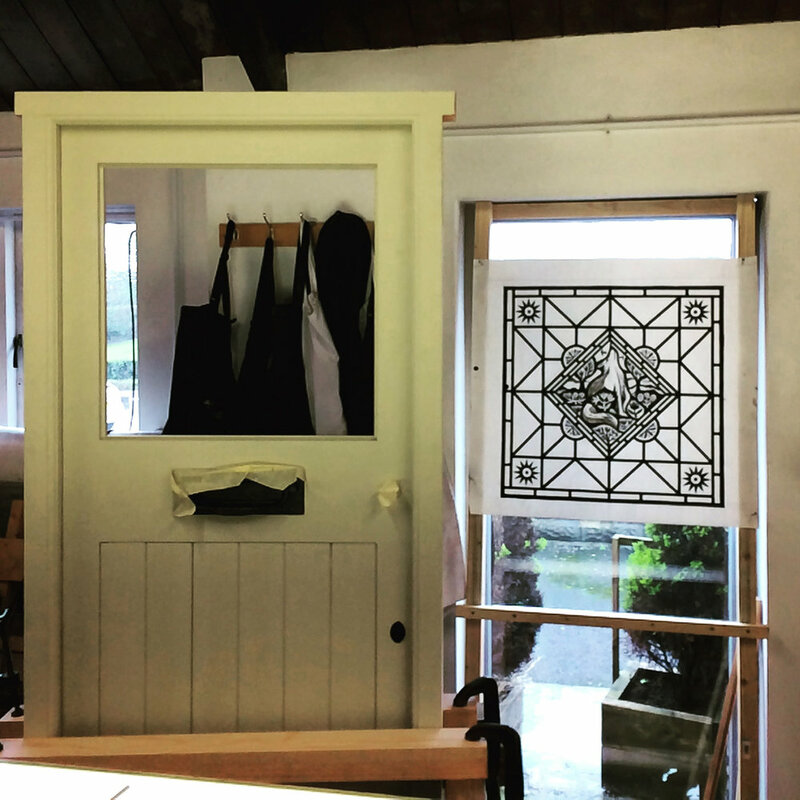 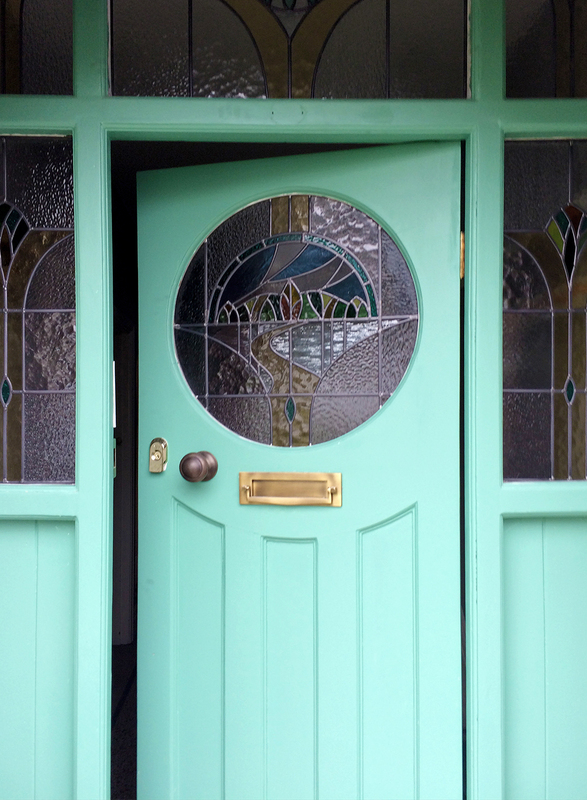 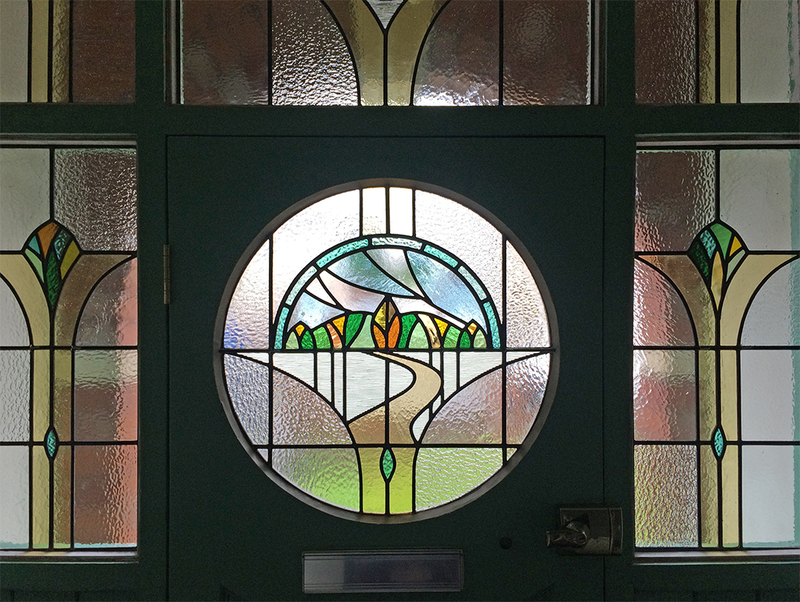 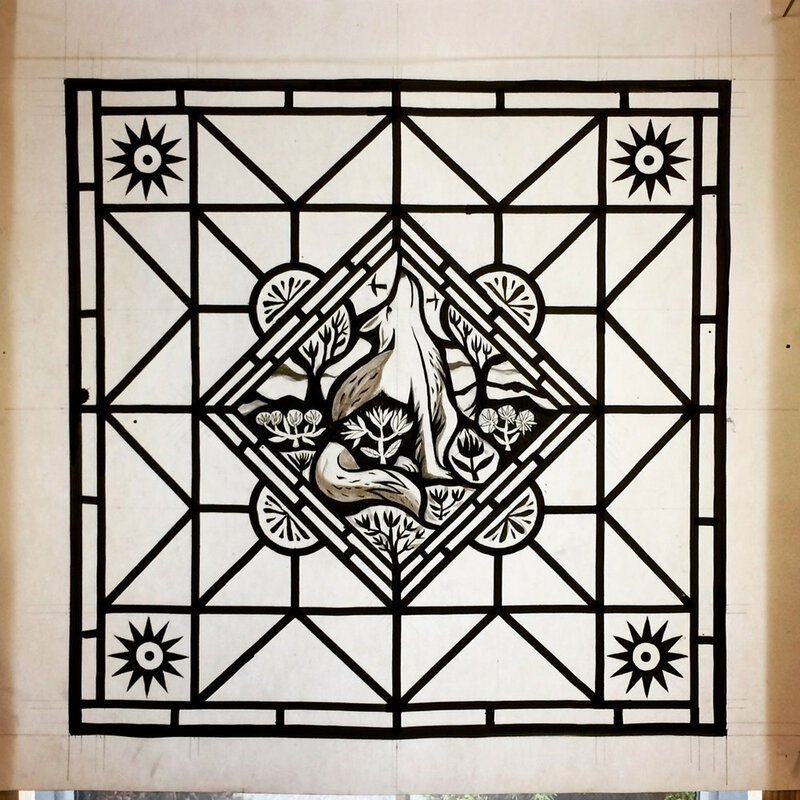 The project was to restore the door to it's former glory by repairing the original panel and making two new panels to match. 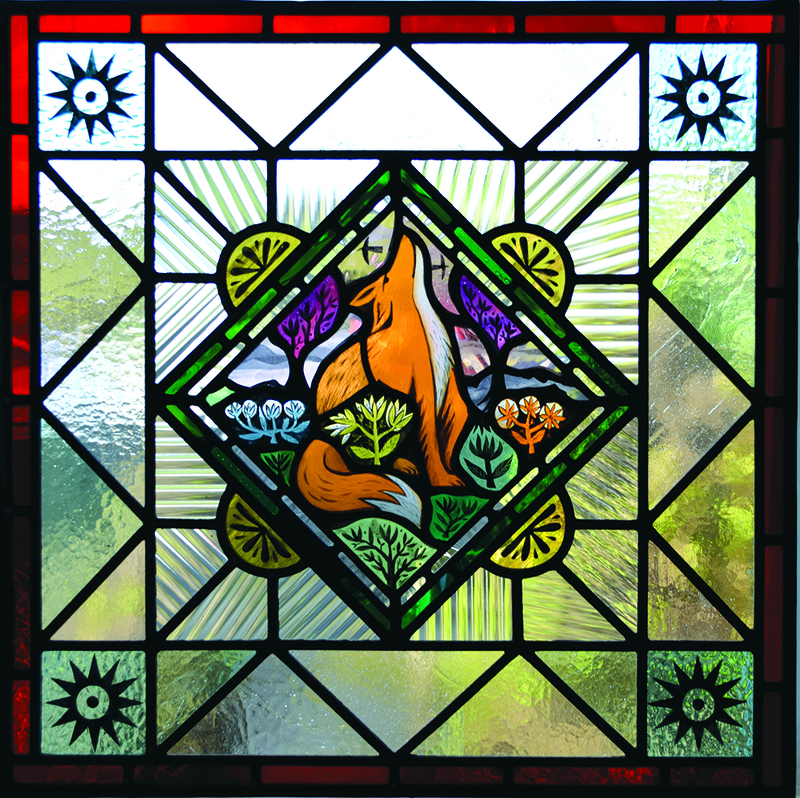 New pieces were made recreating the original using traditional kiln fired paints and stains. 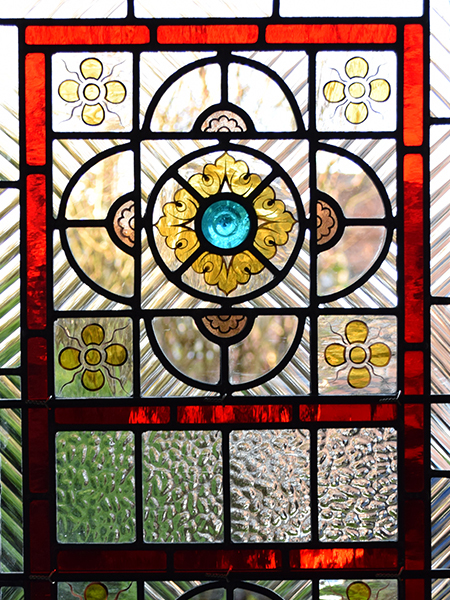 Matching rolled and antique glass was sourced as close as possible to the original. 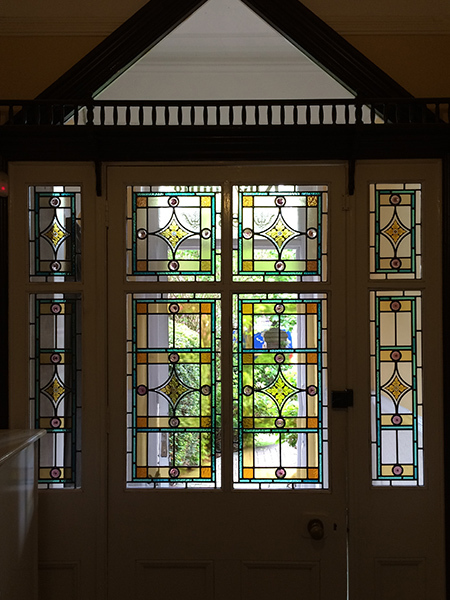 This also led to the vestibule doors being restored where there was only the top panels remaining.